Close to public transport Own ensuite Nice warm fireplace Secure property. Nice big outdoor area. 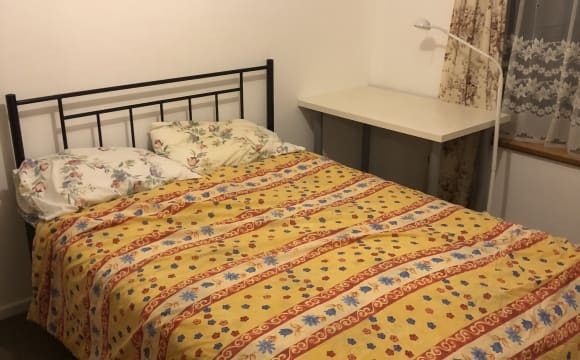 I am offering a fully furnished room with a brand new queen bed mattress and 2 built in wardrobes ; If you are a professional , there is also a possibility to rent the other spare room as an office too. 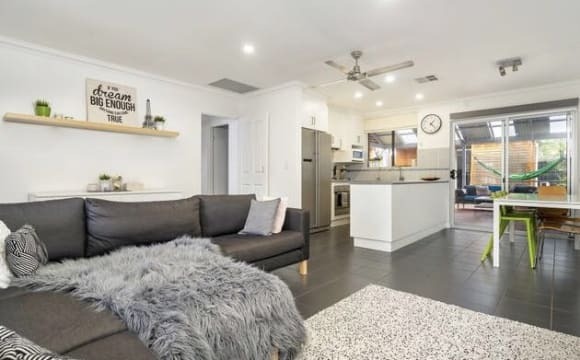 The house atmosphere is peaceful in a quiet neighbourhood only 20 mins drive from the city and 5 mins to Seacliff beach and Hallett cove beach; so if it sounds great to you, get in touch! 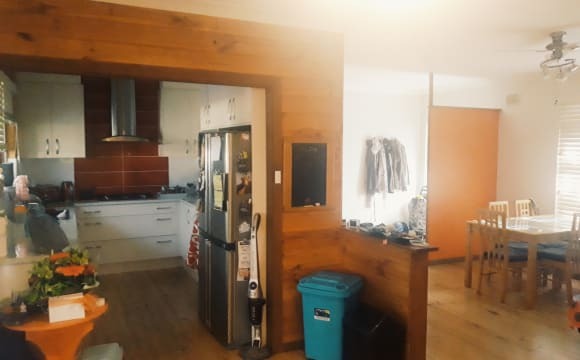 The house is continuously being upgraded and maintained ; it has a big patio , and a large backyard with a cubby house that I am turning into a meditation pod! Overall the house is clean and peaceful. 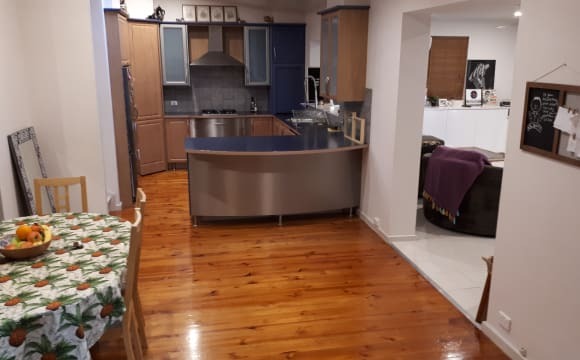 The house is in a fantastic location and is less than 10 minutes away from Marion Shopping Centre, Flinders University and public transport is a short walk away. The house is fully furnished excluding the bedroom available. Just had a new air conditioner installed in the living area to make summer more bearable. The yard is very spacious and there is a fantastic view of the city from the balcony. There is also a basement-like room which makes an excellent study/chillout area. This house would definitely suit a student who is looking to rent at an affordable price. If you're interested in not being homeless please contact me and we can organise a time to catch up! This property currently offers an upstairs single bedroom with large wardrobe, double bed and study table chair - $160 per week rent. There are currently two rooms available so it would suit friends who wants to live together under the same roof. The bedroom include: •	All rooms have their own keys. •	Built-in wardrobe with shelves &amp; drawers •	Bed with linen •	Bathroom linen •	Study desk with light •	Ducted evaporative air conditioner You will also have access; •	Large upstairs common area •	Share kitchen with individual cupboards space, oven and; gas cooktop with large wok burner. •	Extras include fridge, microwave, rice cooker, cooking utensils crockery. •	Comfortable couch in the shared TV lounge area •	Washing machine; clothes lines •	Balcony with views to hills Your rent will include: All water, electricity, gas, internet and a cleaner for all common areas and all bathrooms once a fortnight. We currently have two rooms at $160/week. Both rooms are available immediately for moving in. Feel free to contact us for an inspection. 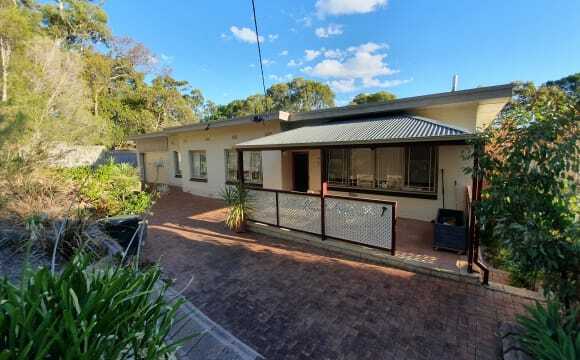 Super close to Flinders university, around a 5 minute walk! house is in a really nice area and also has a park next door. Available NOW -is a large queen room, (WiFi. 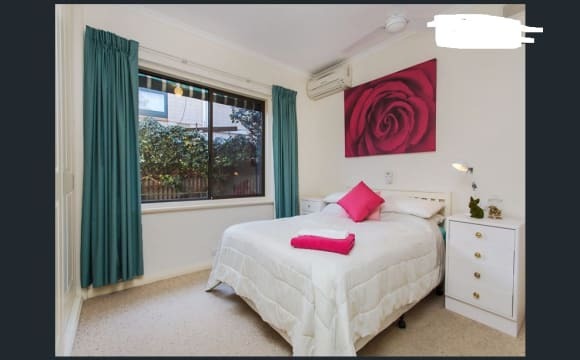 connection is included in room rate)- wardrobe/ plenty of storage - fully furnished, with small bar fridge, television, reverse cycle air conditioning and 2 sets of bed linen and towels. Close to Flinders Uni/Hospitals-Marion shopping/swim centres, five minutes by car to Seacliff Beach. 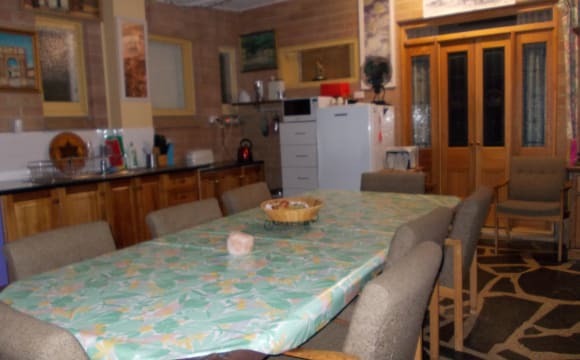 Friendly, homely accommodation in property with beautiful views. Within walking distance are: a Foodland-Chemist-Take away's of-chicken/fish/ chips; pizza/pasta also a hairdresser- Indian grocery - eat in or take away Indian restaurant-a Thai restaurant-Flagstaff Hotel/bottle shop/restaurant, ATM's at Foodland center and at the Flagstaff Hotel - all of these cover your day to day needs. 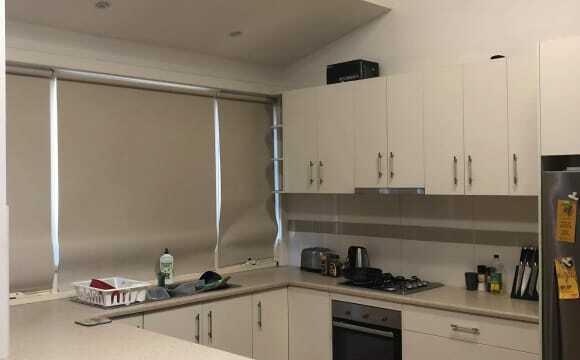 Well equipped kitchen, each room has a designated fridge shelf and a full freezer draw, (additional to the bar fridge in their private room)-large dining table, (great to chat around) front loader washer-2 by shower and toilet facilities. Outdoor areas with BBQ - tables/chairs under a large umbrella - clean fresh amenities- pleasant - mature flatmates-not a party house, however visitors are welcome. (strictly no parties or drugs). Common areas cleaning is a rostered shared tenants responsibility Only minutes walk to Go Zone bus route, (bus every 15 minutes)- plenty of on street parking as we are situated in no through road. Tennis court/rackets-board games/dart's etc. available for your enjoyment.. 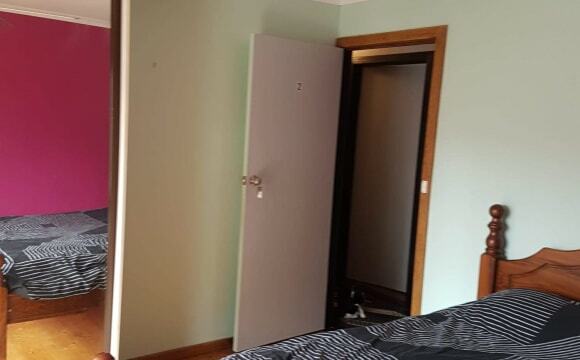 Spacious room in a lovely quality house, walk to Flinders University and Flinders Hospital. Share with 2 friendly Australian female students. Room has own reverse cycle air conditioner and fan, double bed, bedside table, desk and built in wardrobe. House is fully furnished with large lounge, separate dining, fully equipped kitchen. Separate laundry and own yard. Opposite park. WiFi and utilities included. Prefer female. 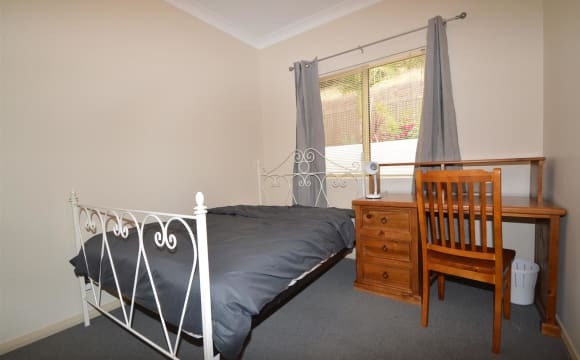 Room with close proximity to Flinders Uni, Marion Shopping Centre and Brighton beach, so very convenient! We also have a wonderful view over the city. Opportunity for someone friendly and low maintenance to join our house. We currently also share an unlimited internet and Foxtel plan.